Dear Father Fortea, why do we sin? We sin because, due to the effects of original sin, our wills have been weakened, and we give in to temptation. When we are tempted, we must choose between two options: doing good or doing evil, committing a sin or living in virtue. In temptation, the will has to choose between two options; it knows that one option is good and the other evil but feels attracted to choose the bad. Temptation is not a defect of the intellect. If we did not know that a particular action was sinful, we would be ignorant and not guilty – subjectively speaking – of committing sin. To sin, we must know that we are choosing evil. * There is no sin without a bad conscience. This is what makes sin so interesting from the intellectual point of view: Why do we choose an evil knowing that it is evil? This is a real mystery. The simple answer (but one which does not fully explain the matter) is that we sin due to weakness. While this is true, it is also true that we are not so weak that we are unable to resist temptation. God gives us the grace to do what is right and to grow in virtue – if we choose to live in His grace and allow it to increase within us through obedience to His will, and through prayer and the sacraments. If we were not capable of resisting temptation, we would have no moral responsibility, i.e., there would be no sin because we would have no choice. Sin requires us to consciously choose to do wrong. Therefore, although we are weak, we can always resist. We cannot excuse ourselves by claiming ignorance of the intellect or weakness of the will. We do evil because we want to. It could be said that we do evil for the good we get from it. But the intellect, on some level, knows that any good we derive from sin is a “poisoned apple” – it will taste good in our mouths, but it will be sour in our stomachs. For example, we may choose to drink alcohol excessively on a particular occasion because we want to “feel no pain” and want to “drown our sorrows.” But this “good” holds a lot of bad within it. No matter how attractive the “good” of a particular sin appears to be, our conscience tells us: “Don’t do it.” To say that we do evil because it appears to be good is an explanation for why we sin, but sin and evil remain somewhat of a mystery. Perhaps the “poisoned apples” we often eat – despite knowing them to be poisoned – can never be explained completely in this life. * Note: Since evil often presents itself as something good, we need to have a well-formed conscience, i.e., one that is formed in accord with the teachings of the Church and right reason (see CCC 1783 – 1785). 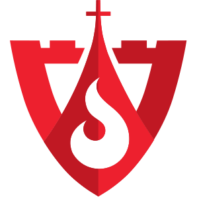 Editor’s Note: To learn more about spiritual warfare and demonology, Catholic Spiritual Direction recommends Fr. 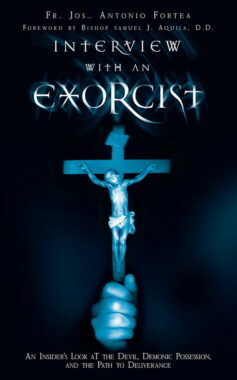 José Antonio Fortea’s excellent book Interview With An Exorcist – An Insider’s Look at the Devil, Demonic Possession, and the Path to Deliverance. Father José Antonio Fortea Cucurull is a priest, exorcist, and writer from Spain. He has published many books, some of which have been translated from Spanish into English, and has spoken at various venues in the United States. His most famous title is the Summa Daemoniaca, currently available only in Spanish. His book Exorcistica is a supplemental publication of Summa Daemoniaca. Art for this post on Why Do We Sin? : Vipera ammodytes, photographed by Haplochromis, September 2006 own work, CCA-SA 3.0 Unported; detail of Padre José Antonio Fortea 2017, photographed by Elgatoconbotaselgatoconbotas, 5 May 2017 own work, CCA-SA 4.0 International; both Wikimedia Commons. Cover of “Interview with an Exorcist” used with permission, all rights reserved.